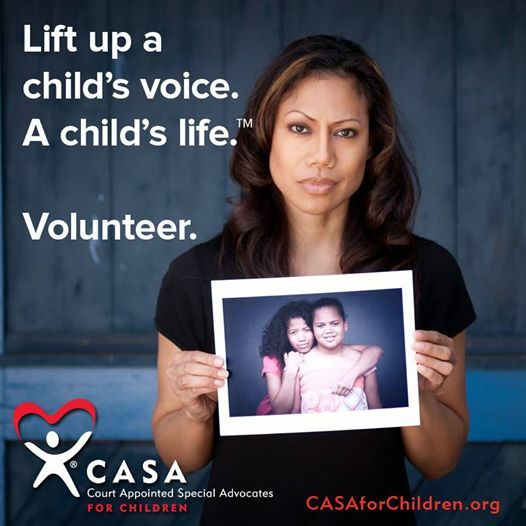 CASA volunteer advocates are ordinary people, just like you, with an extraordinary desire to help a child find a safe and permanent place to call home. CASA volunteers want to make certain the voices of abused and neglected children are heard in an over-burdened child welfare system. You will not only bring positive change to the lives of these vulnerable children but also their children and generations to come. And in doing so, you will enrich your life as well. CASA volunteers get to know the child and gather information from everyone involved in the child’s life, including family members, teachers, doctors, lawyers, and social workers. They use the information they gather to report to the court and to advocate for the child’s needs in the foster care system. CASA volunteers commit to represent and advocate for a child’s best interests until the child finds a safe, permanent home. You do not have to be a lawyer or social worker to be a volunteer. We welcome people from all walks of life. We are simply looking for people who care about children and have common sense. To become a volunteer, you must pass a background check, participate in a 36-hour pre-service training course and agree to stay on a case until it closes, which typically is 18 months from start to finish. Throughout each case, CASA’s professional staff will support you and help you in determining the best recommendations for the children you will serve. If you are interested in becoming a volunteer, the first step is to fill out the application. We look forward to hearing from you!